1. IIBA Certification - The IIBA is to business analysts what APM/PMI is to project managers. The IIBA serves the business analyst community by providing standards for the certification of BA practitioners. It offers certifications for business analysts such as Certification of Competency in Business Analysis (CCBA) and Certified Business Analysis Professional (CBAP). IIBA now offers more certifications for varying business analysis competencies; see IIBA Certification Changes You Should Know About. The CBAP designation is designed for experienced business analysts with a minimum of approximately 5 years’ BA work experience. With this certification, you’ll be regarded as a “senior member of the elite BA community”, as stated by IIBA. If your job involves process improvement, consulting, requirements management, functional analysis or business analysis, consider getting this certification. Read 5 Practical Tips on how to Prepare your CBAP or CCBA Application. The CCBA designation is for those with less business analysis experience (A minimum of two and a half years of BA work experience is required). For more information on how to obtain this certification, visit the IIBA website, where you can download the most recent version of the CCBA Handbook. 2. BCS, formerly ISEB, also offers a range of certifications on different levels. 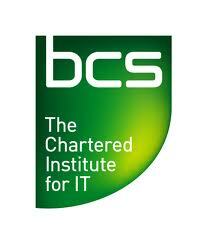 The BCS Professional Certification for Business Analysts comprises the Foundation, Practitioner and Higher Levels. The Foundation Level Certifications cover business analysis, business change and commercial awareness. The Practitioner Level Certifications cover Benefits Management and Business Acceptance, Business Analysis Practice, Data Management Essentials, Modelling Business Processes and Requirements Engineering. The Higher Certification refers to the BCS International Diploma in Business Analysis. or BCS's comparison between the two certifications, click here. So, the big question is, "How do you decide which certification is best for you?". Well, it depends on your situation. My comparison is on the diagram below. I hope it will help you make a decision on which option is best for you. There's no harm in having the two, if you have the resources. The two certification paths are unique and can complement each other for a successful business analysis career. BCS Business Analyst Certification and IIBA CCBA & CBAP Compared.